Katie Workman, Author of “The Mom 100 Cookbook” Offers Cooking Classes in DC this weekend! 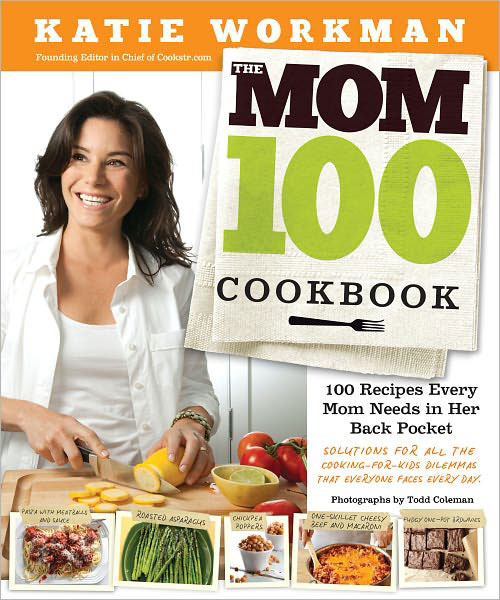 THE MOM 100 COOKBOOK delivers solutions to the 20 most common cooking dilemmas that every modern mom faces, providing recipes and tips for parents who are so baffled by their kids’ food preferences that mealtime has become a minefield. Katie shows moms how to crack open the door for the salad rejecter and how to make an enticing entrée with whatever’s in the fridge. Her recipes include brilliant shortcuts, such as a four-ingredient casserole perfect for family and company, and cooking flank steak in the broiler—so quick and simple! And with Katie’s straightforward approach to tackling everyday cooking dilemmas, it also makes for a candid read, with wise tips, personal anecdotes, and wry one-liners sprinkled throughout. Each of the 100 recipes is complemented by mouthwatering color photographs taken by Todd Coleman, executive food editor of Saveurmagazine. The result is an attractive, easy to understand, indispensible resource that every mom will be grateful for every day of the week. Just one glance at this beautiful book, and I’m sure you will agree with Bobby Flay, Giada De Laurentiis, and Ina Garten—who are among her biggest fans! And to get a quick taste as to what the book offers, here’s a link to 10 quick tips in the kitchen: http://www.youtube.com/user/TheMOM100Cookbook?feature=watch. – Healthy, but tasty & fun snacks like Chickpea Poppers. – Simple and quick additions to regular dinner sides, like goat cheese or Dijon mustard in Mashed Potatoes. – And an award-winning (from everyone who has tried it) One-Skillet Cheesy Beefy Casserole! A delicious meal with only 1 pan to clean!